Katima Mulilo hotels, accommodation and places to stay. 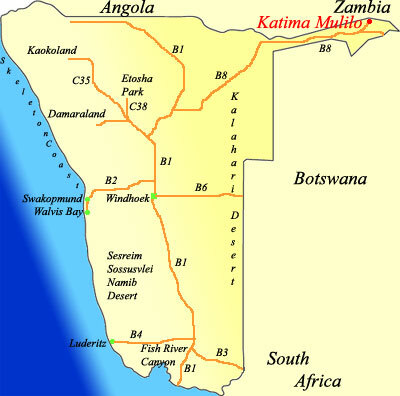 Guide to where to visit and where to stay in Katima Mulilo Namibia. Information on Katima Mulilo Namibia, location of hotels, lodges, camp sites, guest houses, bed and breakfasts and places to stay in the Katima Mulilo area of Namibia. Distances from major attractions to Katima Mulilo and information about shops, fuel and facilities. 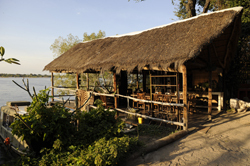 Along the edge of the mighty Zambezi River, lies the water sanctuary of Zambezi Mubala Lodge and Camp. A bird-lover’s dream, this lodge is home to one of the largest colonies of Carmine Bee-eaters, that live along the banks of the majestic Zambezi. Island View Lodge is situated in a sheltered backwater overlooking Kalimbeza Island, the perfect place to capture the spirit of the Caprivi with it's natural unspoilt beauty, magnificent sunsets and spectacular riverine scenery. 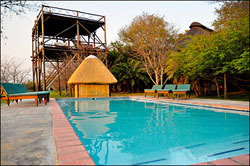 Island View Lodge is approximately 30 km east of Katima Mulilo, with an easy-to-travel road. Island View Lodge is situated in a sheltered backwater overlooking Kalimbeza Island, the perfect place to capture the spirit of the Caprivi with it's natural unspoilt beauty, magnificent sunsets and spectacular riverine scenery. Great for Tiger Fishing. 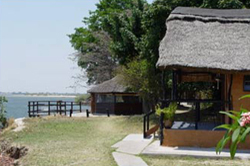 Set in natural surroundings on the banks of the Zambezi River, Protea Hotels Zambezi River Lodge offers comfortable facilities, ideal for an overnight stay en-route to the many tourist destinations in the area. Accommodation comprises 27 en-suite rooms overlooking the garden and pool area, with restaurant and bar facilities are available daily. Discover the allure of Mazambala Island, an oasis of peace and tranquility where time stands still. Known among local tribes as "Island of Abundance". In keeping with this tribal name, Mazambala offers an abundance of unspoiled beauty, an abundance of animal and bird life and an abundance of hospitality. 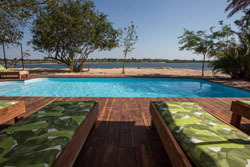 Chobe Water Villas, an exclusive and intimate “boutique” Lodge is located on the Chobe river at the eastern tip of the famous Caprivi Strip now known as the Zambezi Region. 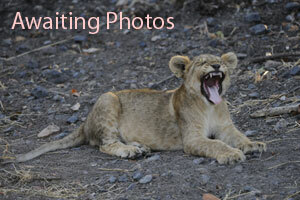 Only accessible by a 15-minute leisurely Safari-Boat transfer from Kasane in Botswana. 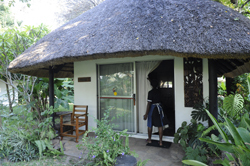 The lodge is situated 5km from the town of Katima Mulilo on the banks of the Zambezi River, with a beautiful and tranquil setting for business, relaxation and adventure. Spacious, cool and comfortable river facing, en-suite chalets. 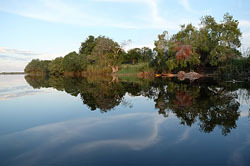 We offer river kayaking, boating and tiger fishing as well as guided tours in surrounding game reserves and parks. Dining facilities and bar. Experience a unique African adventure - Namibia's Caprivi Strip is an angling paradise like no other on earth! 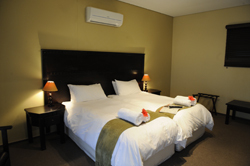 At our base outside Katima we offer bed and breakfast facilities for the night of your arrival and departure. Three rustic on suite chalets overlooking the Zambezi River catering for up to 12 guests. Self catering, camping, as well as bed & breakfast accommodation on the banks of the Zambezi river at Kalizo Lodge. Tiger fishing and bird watching at its best! Have a truly African Bush experience at this laid-back Zambezi Birding paradise & great family getaway, with boats and fishing. Get married in a traditional African wedding, breakfast on a sandbank in the river and generally enjoy the Zambezi.